One of a kind End Unit in amazing location! Perfectly situated off Park Rd between Park Rd Shopping Center and East Blvd with quick access to SouthEnd, SouthPark, and Uptown! This well planned space generously offers 3 bedrooms, 2.5 bathrooms, and is full of custom upgrades unique to the other units. The purpose and flow of the main level accommodates those opportunities to entertain, times you want to relax, and everything in between. The kitchen boasts granite, tall breakfast bar, and under cabinet lighting. 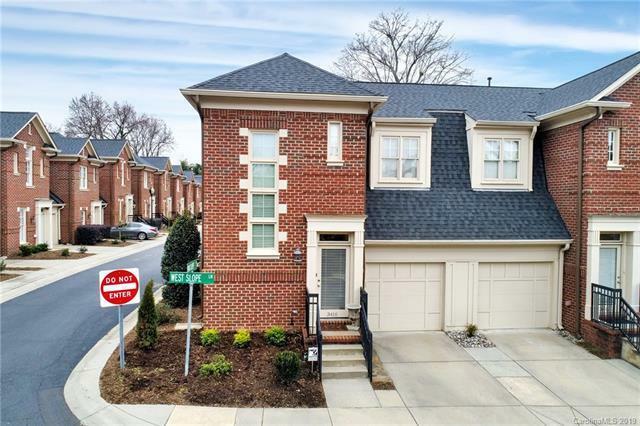 Master on the Main with a show stopping master bath (3-headed shower)! Upstairs is an additional loft/bonus area with two bedrooms and a jack n jill bathroom. The large back patio is fully finished with accent lighting and conveniently backs up just feet from the community pool. This home is move-in ready. Tankless water heater, surround sound, HVAC under 5 years old. Enjoy all the amenities of Charlotte...Live Easy, Live Convenience, Live Custom...Live Hillside West!